10 Glowing Trends To Brighten Up Your Events! From LED hula hoops to glowing cocktails to LED party gloves, ABCey has compiled a list of 10 glowing trends that bring you innovative ways to illuminate your future events! Take your event to the next level with these LED hula hoops! Use them as a prop for your event performances, or as a decor to make your ideas and brand pop. 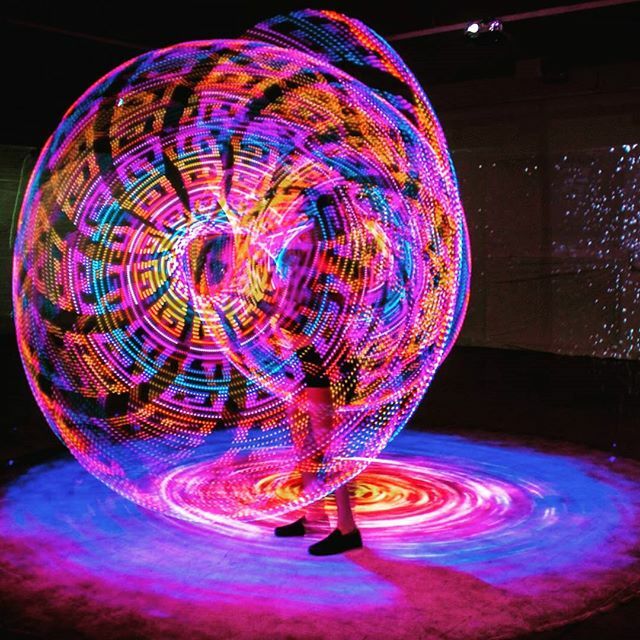 We love SPinFX for using advanced LED devices with customizable graphic displays, such as the Phoenix Hoop, to create a unique and innovative form of live performance art that will be sure to bring any ideas to life, and have your guests talking about it all night long! Light up your next party with these glowing cocktails! Just mix a bit of tonic water into your drink of choice, turn on the black lights, and watch your drink light up! You can also use LED ice cubes that come in a variety of colors to impress your guests. Amaze your guests with these colorful LED dancing suits! Not only will your live performances be incredibly eye-catching, but they will also continue to maintain your party’s glow throughout the entire night. Promote your brand in style with glow-in-the-dark hair! This is a unique and creative way to display any desired images, words, or logos for the duration of your event! Add a futuristic yet whimsical element to your event by hanging rainbow colored glow-in-the-dark slinkys. This chaotic but creative approach will leave your event glowing brighter than ever! Repurposing mason jars is always a great DIY project, and is even better as a lighting decor project. 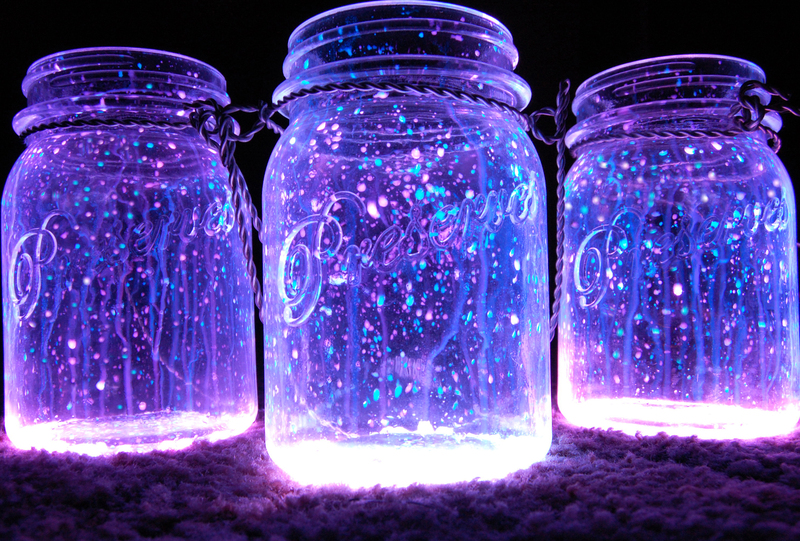 With some fun glow paint, you can easily make these glowing mason jars and use them as centerpieces or lanterns! Thinking of having a Pop Art themed party? Give your guests a sweet and glowing treat by creating a wall of glowing cotton candy! Just serve them on a LED stick and you are set! Let your artistic side glow at your next event by using neon colored yarn! With just nails, yarn, and a hammer, you can create and showcase your own personal string art! Change your daytime party decor into nighttime by reinventing the glow sticks! Simply put a glow stick in each balloon, and you’re all set. Use these glow-in-the-dark balloons as string lights, pool decorations, or to add some color. Perk up your dance floor by handing out glowing accessories as party favors at your next event. From LED party gloves to LED shoelaces to LED ties, these accessories will make sure your guests glow wherever they go! Which one of these glowing trends is your fave? Let us know in the comments below or on Facebook and on Twitter!